Many people read through my articles or see what I post on Facebook or Twitter and tell me that they wish their relationship could be “like that.” They tell me the expectations I set for individuals and couples are unrealistic. That nobody is really that happy. That romance and chivalry are just…dead. Like anything in life, great things don’t come to those who wish, great things come to those who actually take action and make changes in order to attract the love, success, and happiness they desire. Are you not happy with the person you’re with? Walk away. Do they mistreat you or act in ways that are unacceptable? Communicate your concerns to them, and if they don’t change, walk away. Are they physically or emotionally abusive in any way? Run away. Now. Once you raise your standards and absolutely cut out any possibility of accepting less, you’ll find you very often get your standards met. If someone isn’t meeting your standards, you cut them out of your life. If you’re not meeting your own standards, then you take action in order to improve. Either way – there are no two ways about it – your standards do not get lowered. The lives we live are direct reflections of the standards we hold for ourselves. The physical body you live in is a reflection of your health standards. If your standard is to wake up five days a week and workout, it will show in your appearance. The people you surround yourself with are a direct reflection of your social standards. If your standard is to only allow people into your life who carry themselves with integrity and show respect to those around them, you will find you have far less drama to complain about than others with much lower standards. And equally as important: The relationship you have with your significant other is a direct reflection of the standards of love you have chosen to accept. From Stephen Chbosky’s ‘Perks Of Being A Wallflower’ – We accept the love we think we deserve. The standards you set for the person you choose to commit yourself to will have a direct bearing on your overall happiness. While happiness does have to come from within first, even the happiest of people can be anchored down by an intimate partner’s constant negativity. Do not waste your years wishing that a person will change – raise your standards and if they truly care, they will rise up to meet them. If not, then you have dodged a bullet sooner rather than later. Do not waste your years self-loathing while accepting less than you deserve – raise your standards and when that is the only thing you accept in life, that is what you will get. If you deserve better, go do better. Do not waste one more moment of your time who takes away from your joy – you can’t get any of that time back. Life is too short to be anything but happy. “Are you not happy with the person you’re with? Walk away.” I don’t agree with this sentence. If you are not happy with something on a person try to talk your needs, emotions to them that you want. Then if you always coming a to wall you need to find way out. If all people raise standards then we could have lot’s off people cutting off one another. Raise your standards but be with open hearth to flaws and imperfections. Life isn’t always happy. There must be some oscilating moments. This is reality. If you expect fairytale or ideal life you will always be in search for better and that’s not good, because there is always someone better. Try to find most suitable person with whom you are happy and they are meeting your needs.Talk, share stories, wishes, feelings. For the rest of article I agree and it’s very good. I get what you are saying…and you just cut to the chase. It doesn’t mean don’t try and don’t talk about your feelings with your partner and find a compromise. It says that if all of this doesn’t work, then don’t lower your standards and become someone that you are not. 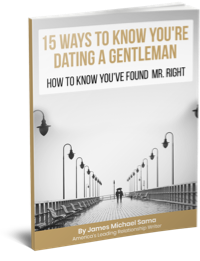 If you know that you are not doing your part in the relationship, then raise your own standards. All of our needs, wants and standards are not the same. As adults, we all are aware that life is not a fairy tale, but if the two people involved both want that fairy tale, I see no reason whatsoever that they cannot have it at least more than 80 percent of the time. 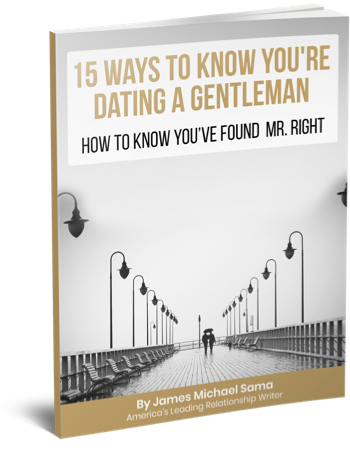 Any relationship that you have done all you can possibly do to save and the only answer to save it is to lower your standards or change your core being, then I agree with James…..walk away. If you feel this way, just imagine how the other person must be feeling…it may be a relief for you both. One other thought I had was about the emotional/physical abuse point you made. Physical abuse if fairly easy to identify and, I agree, is a solid reason to hit the door. In my coaching, I’ve learned that men and women are both pretty bad at understanding and dealing with emotional abuse. The tendency for both is to minimize the other’s feelings when they say they feel abused. Men have little understanding how abusive/neglectful judgment and criticism actually feel to a woman. They find it hard to empathize and hard to choose to raise expectations of how they conduct themselves. Likewise, women have little understanding how abusive/neglectful constant rejection and emasculation actually feels to a man. They find it hard to empathize and hard to choose to raise expectations of how they conduct themselves. Until BOTH people choose to learn this and make changes, the downward spiral will continue. But when they DO make the choice to change, the relationship changes very quickly. Men respond to her changing MUCH faster than women respond to him changing. Guys need to know this and deal with it correctly. As I so often feel when reading your articles, I swear you must have read my mind when writing this. I am definitely re-blogging this on my own blog because you have said exactly what I’ve been wanting to share for quite some time . . . and just haven’t been able to find the words to say it eloquently enough. Thanks for being such a voice of reason in a world filled with so much nonsense. 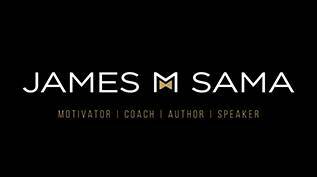 Thank you, James M. Sama, for reading my mind once again when you wrote this post. I could not possibly agree more with every word of this article. And you even quoted my favorite line from one of my all-time favorite books . . . Seriously, everyone needs to read this article & take it to heart.